This weekend I’ve been busy in the kitchen and my flat has smelled just wonderful from all the scents mingling with each other. A perfect addition to our already brimming Christmas tree and decorated flat. 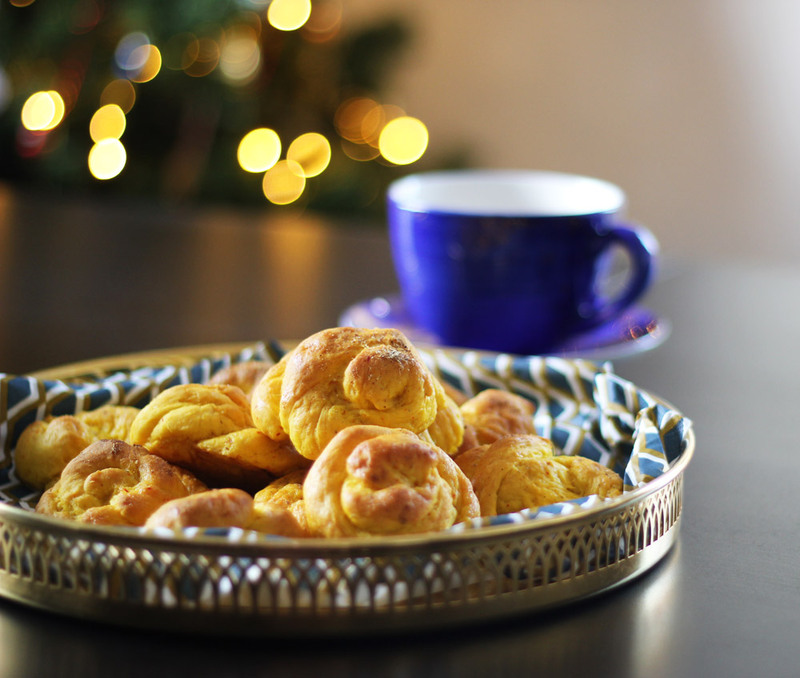 I’ve made traditional Swedish saffron buns, toffee and worked with perfecting my vegan shortbread recipe. Doing some occasional menu planning for a upcoming Holiday get-together, which we are hosting at our home. 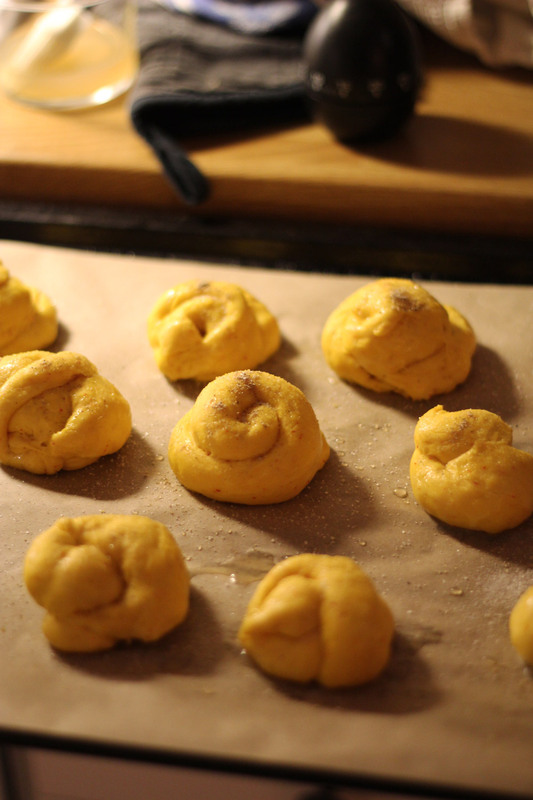 My boyfriend is really skilled at making the best vegan saffron bun dough. It’s fluffy and expands just perfectly. This year I experimented with making twists. Then brushing them with aquafaba and sugar, then sprinkling them with extra sugar and cardamon. The buns got a slightly shiny surface. 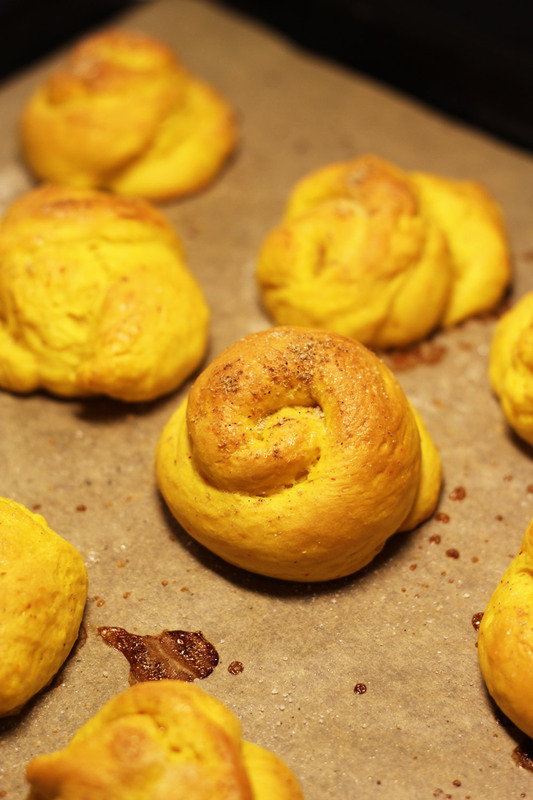 I got the idea from the traditional way that Saffron buns are made. 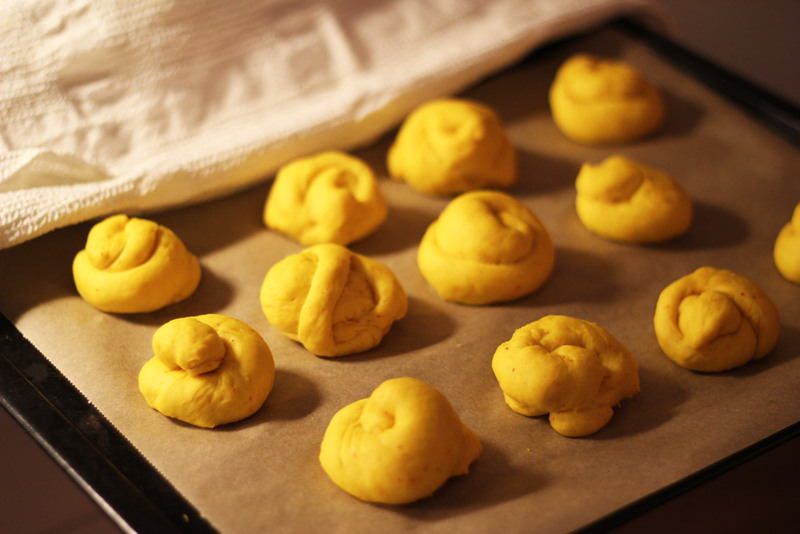 They are brushed with egg before they are baked in the oven. So I thought I would try this. And I think it turned out neat.